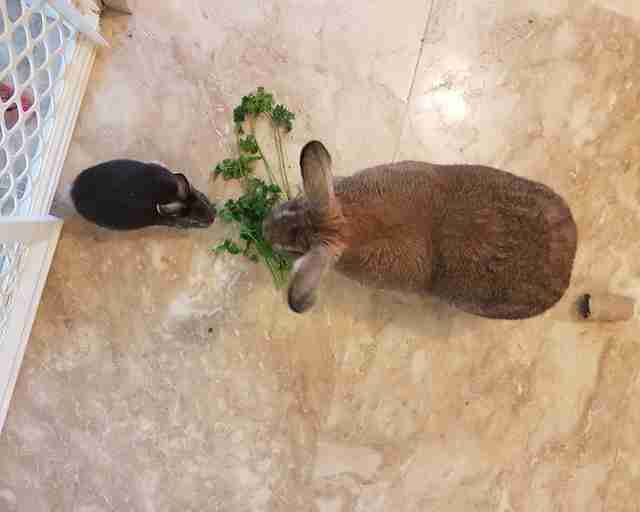 For the Covelli family, a house is not a home without a rabbit — but luckily, there’s plenty of bunny to go around with Lilly Sunshine there. 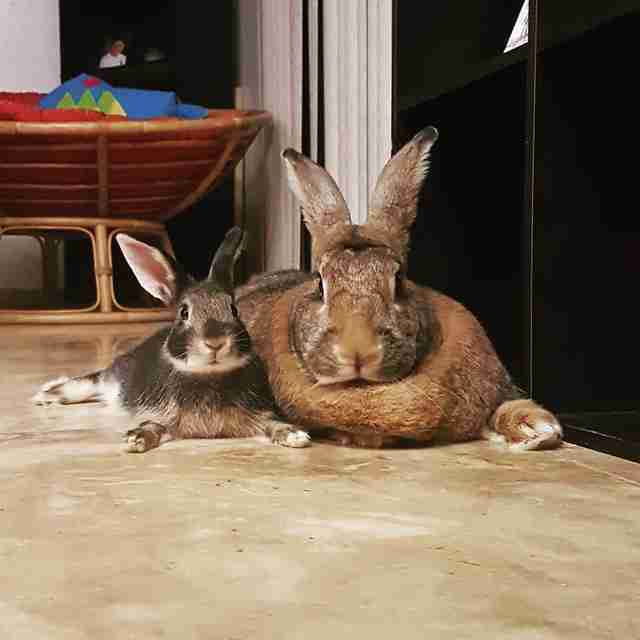 Weighing in at 16 pounds, Lilly is the family’s 3-year-old Flemish giant bunny who spends most of her time snuggling with her boyfriend, Romeo. Unlike Lilly, Romeo is tiny. A whole 4 pounds tiny. 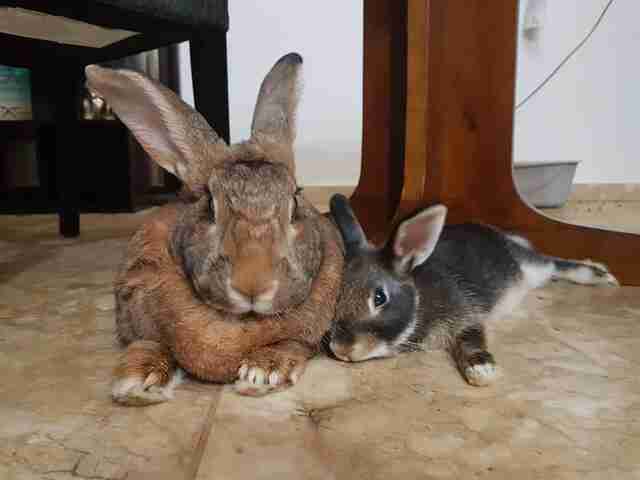 Despite their size difference, the unique couple couldn’t be any more adorable and in love. 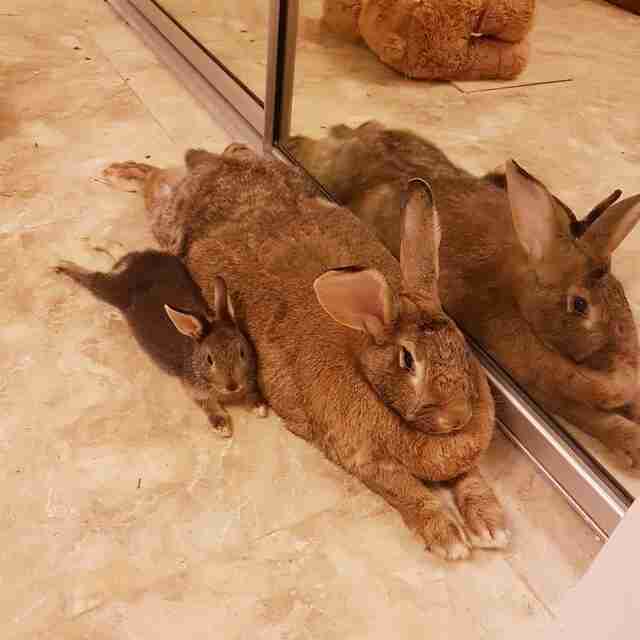 They don't seem to notice that there's anything different between them — even though Lilly is four times his size. Since falling for one another, Lilly and Romeo have gained quite the following on Instagram, where their mom shares sweet updates about their daily life. While many are amazed by this dear romance, it just seems like second nature for the pair. “They sure are a special couple,” Covelli said. To keep up to date with Lilly and Romeo’s adventures, you can follow them on Instagram.